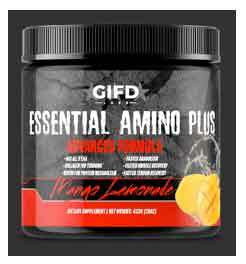 Essential amino plus is the most well rounded amino product on the market period! Essential amino acids for actual muscle building! Not just BCAA. There must be all the EAA present for the body to build new and repair tissue. 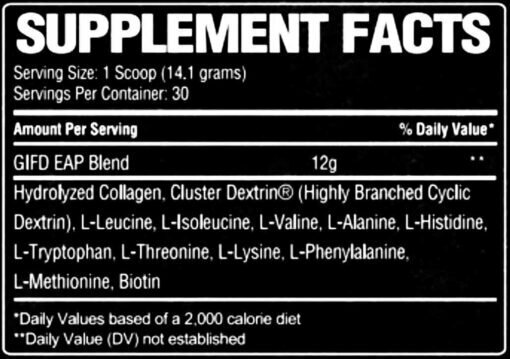 Collagen- the second most abundant nutrient in our body only after water which is the number one nutrient. 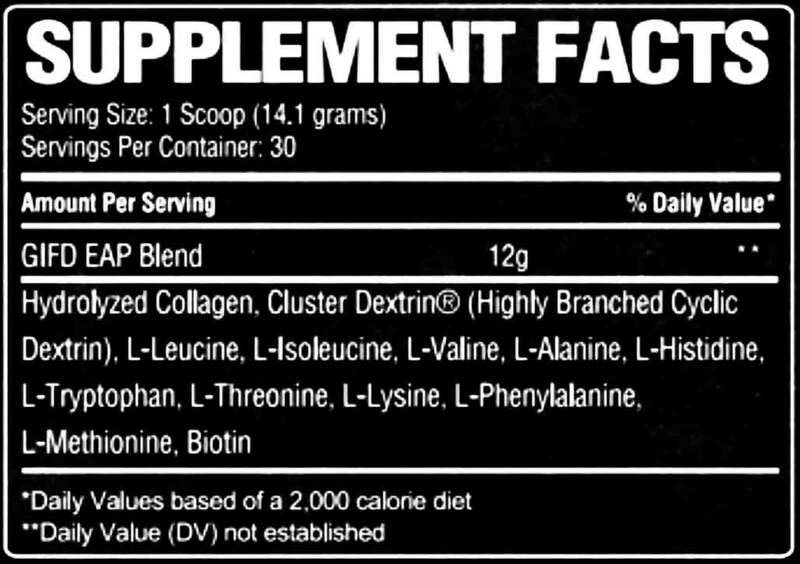 Collagen supports tendon and ligament repair , joint healing, skin, hair, and nails repair, and we don’t have a natural food source in our diet. Which makes most people deficient in collagen. We added collagen to repair tendons while building muscle, a key factor in reducing injuries and growing more muscle faster. Biotin -Biotin helps the body better use food for energy. This means that biotin may increase energy levels and, by making the digestive process more efficient, biotin may help people lose weight. This makes biotin an ideal supplement if you are looking to have more energy and lose weight. In the better utilization of macros PROTEIN is the one we want to accelerate for faster muscle growth. Biotin helps support healthy and faster digestion and metabolism and is often over looked for muscle growth. Speed protein utilization and muscle growth. Reduces the tendon and ligament injuries. 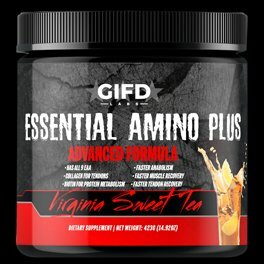 There is not another all around well balanced amino on the market that speeds metabolism of protein and helps repair the tendons while the muscle growth takes place. Welcome to the next generation of TRUE muscle building aminos!! 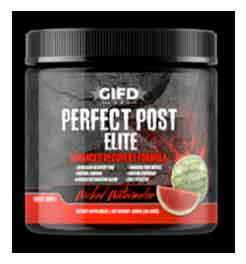 1 scoop any time of day OR or can be mixed up and sipped on with the new mango-Lemonade flavor! !